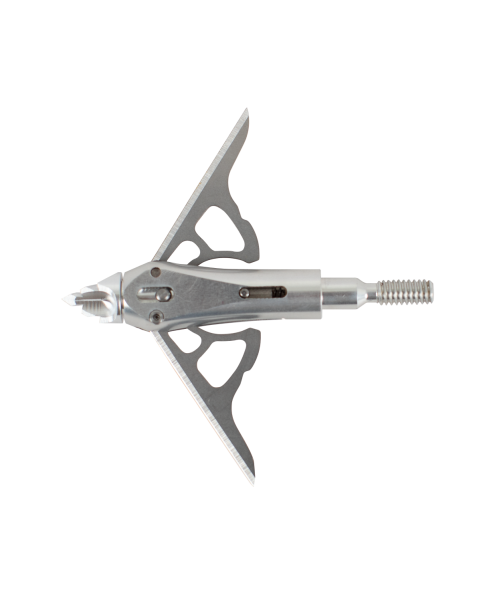 Covington, GA – This spring season, turkey hunters can make the feathers fall with the Ramcat Cage Ripper Broadhead, a lethal 100-grain two blade mechanical broadhead. The Cage Ripper is designed with a sturdy aluminum body and a deadly chiseled tip. As it flies through the air, the oil-resistant rings keep the broadhead stealthy and quiet. Its innovative spring-loaded system deploys the .032” blades on impact, opening the blood gates with a wide two-inch cutting diameter. The Cage Ripper comes in a three-pack for each harvest this turkey season. With the strategic and lethal Cage Ripper, a trophy tom won’t know what hit him… but you will. Ramcat is owned and operated by Arcus Hunting, an acquisition growth platform with a strong portfolio of leading brands in the hunting and outdoors category. Arcus Hunting owns and operates Tink’s®, Dead Down Wind, Obsession Bows, Ramcat, Trophy Taker and Rack One brands. For more information about these brands or products, please contact Arcus Hunting Public Relations at (800) 624-5988 or visit arcushunting.com.